Who doesn’t love to walk into a home that has a clean, fresh smell that makes you feel like you walked into a bit of heaven? Unfortunately, most conventional scent sprays and methods involve harsh chemicals that you might not want around your family. 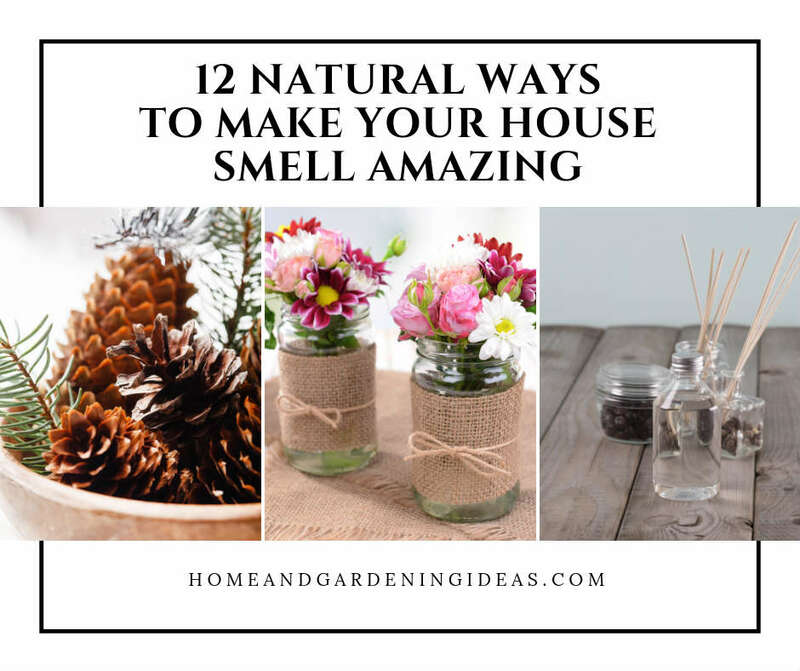 There are natural methods that can make your home smell great without needing those dangerous chemicals. Chances are if the item lists “fragrance” as an ingredient, it contains phthalates. Phthalates are known to be hormone disruptors which can reduce sperm counts and cause reproductive issues. These chemicals are also linked to liver and breast cancer, diabetes, and obesity. Some studies show that exposure to phthalates might lead to autism, ADHD, and neurological disorders. Who wants those things in their home and around their family? Not you! Here are 10 natural ways to make your house smell great. If you notice that you have a bit of a funky smell happening in your house, the first thing you should do is open the windows and let the breeze take out the scent. Sunlight helps to kill bacteria off as well. One of the easiest ways to make your home smell great is by boiling oranges and cinnamon in water on your stove. Add a few orange slices and a few tablespoons of cinnamon or cinnamon sticks to boiling water. Then, turn the water down to a simmer or off all the way. It’ll make your home smell delicious. 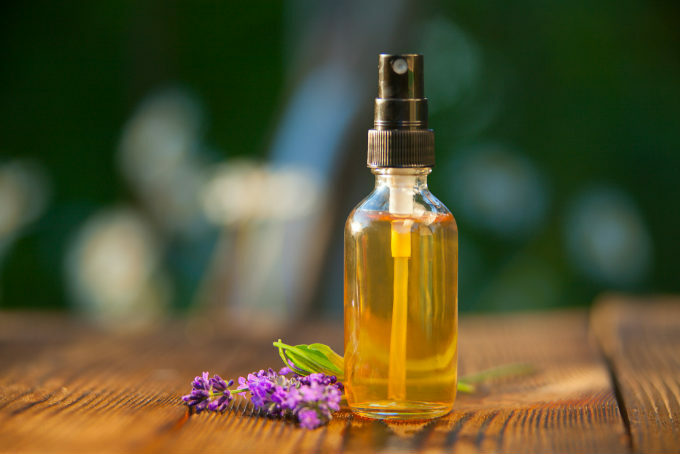 Instead of buying room sprays at the store, you can make your own at home. Add four to six drops of your favorite essential oils to a cup of water in a spray bottle. Gently shake it up before each use, and you’re ready to start spraying your room, the air, and items in your house such as the couch and comforter. Carpets tend to harbor scents easily, so deodorizing the carpets regularly is a good idea. Mix together borax, baking soda, and essential oils or spices in a bowl. Then, spread it evenly over your carpets. Leave the deodorizer on the carpet for 15 to 20 minutes, giving it time to find and destroy all those nasty odors. Then, vacuum it up for a better smelling living room. Essential oil diffusers are popular right now because they’re so easy to use. All you have to do is put the indicated amount of water in the diffusers and add a few drops of essential oils. 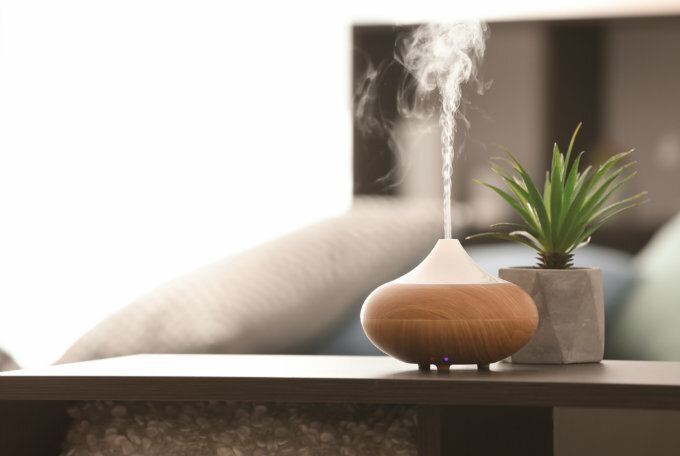 The diffuser spreads the scent through a fine mist that carries it throughout the home. Make sure to be careful because you shouldn’t use diffusers around infants. You can purchase room diffusers at the same, but you don’t need to spend extra money. All you need is a jar, water, bamboo skewers, and essential oils. Add water to the jar, filling it up halfway, and add as many essential oil drops as you want. Then, take 8 to 10 bamboo skewers and put them into the jar. You might have to trim the ends down because you don’t want them to be any more than twice the height of the glass. Set it out and your room will smell better quickly. 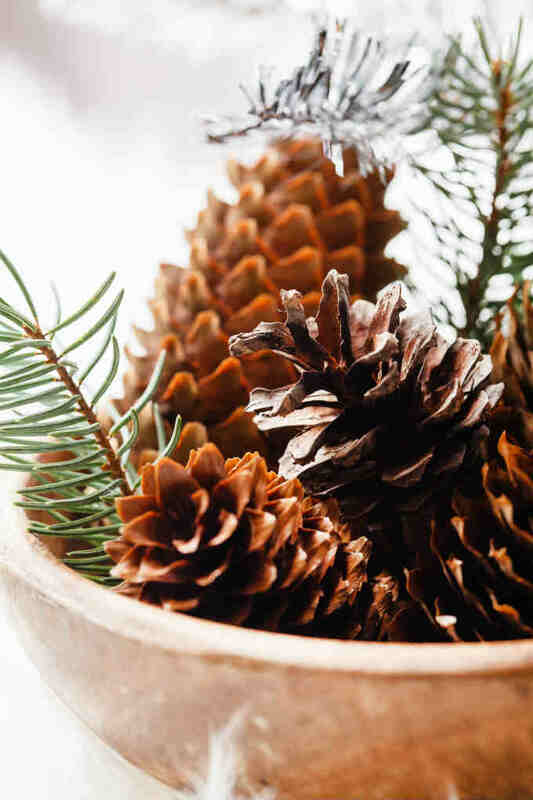 Think about those cinnamon pine cones you see displayed in stores throughout the Christmas season. You can gather fake or real pine cones – real are free! – and add a few drops of essential oils, like cinnamon, pine, or lavender. Leave these pine cones in a pretty basket on a table. Have you ever seen a gel air freshener in bathrooms? They’re a handy item to stick in bathrooms and other rooms that make your home smell nice. Believe it or not, these are easy to make at home. All you have to do is mix 10 drops of your favorite essential oil into two cups of water. Then, mix with salt and packets and gelatin. You can put this mixture into mason jars or other heat-safe containers, and let it harden up. That can take several hours. Once it’s hardened, you can leave it in whatever room you think needs a better scent. Are you working to get rid of chemical cleaners in your home? Take care of the scents in your home by cleaning well, and a good cleaner leaves behind a nice, fresh scent. 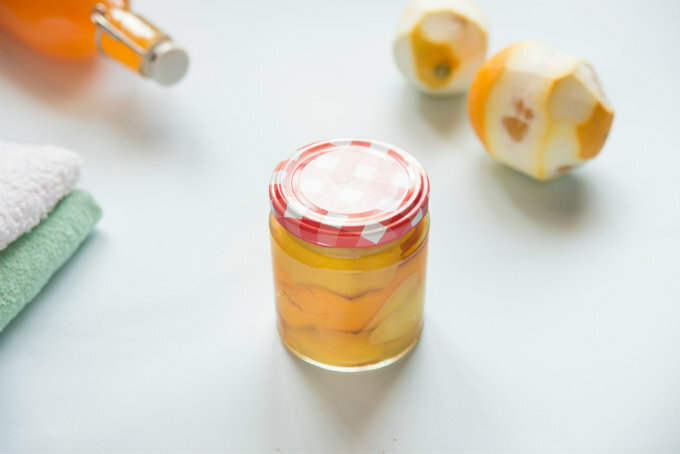 You can make scented cleaner easily with different scraps from your kitchen or around your home, like with citrus peels or pine needles. 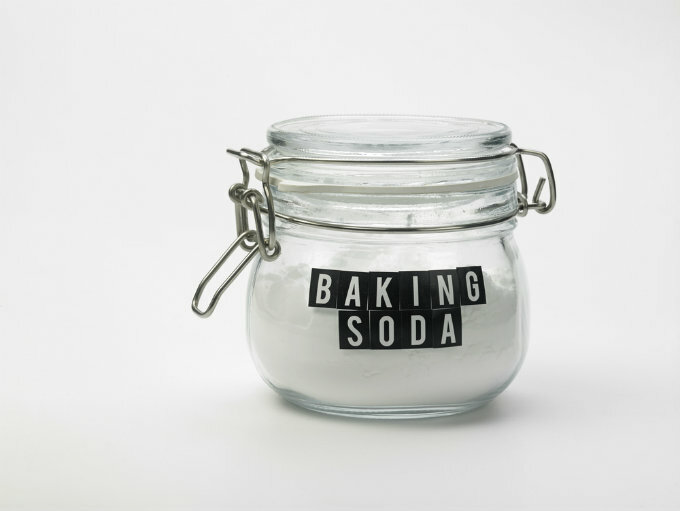 Do you leave a box of baking soda in your refrigerator? If so, a baking soda jar is very similar. You can use these jars anywhere in your home, your car, and more. Add ½ cup baking soda to a mason jar, and put on the lid. You need to poke holes in the lid. You can add a few drops of essential oils to the jar. That’s all you have to do; it’s pretty simple! Seriously, who doesn’t love vases of flowers around their home? Plants and flowers are an easy way to make your home smell better, and it also helps make the room look just a bit nicer. Not only do they look lovely, but plants are also a way to naturally purify the air in a room, Houseplants can help clean the air, removing toxins. A few popular air purifying houseplants include palm trees, orchids, and peace lillies.